No shocker here. This is a staple for any fitness pantry. Whey protein will help you to increase your size and strength. Researchers at Baylor University took 19 men performing resistance training over a 10-week period and gave some of them 14 grams of whey protein along with 6 grams of free amino acids, while giving the rest a 20-gram placebo. Those who consumed the whey had greater increases in fat-free mass and muscle strength. They key is follow the example of this study; try to consume a bit of whey protein before and after your weight training session. Whey protein supplementation will also help you to: lose fat and preserve muscle (when on a fat burning regimen), reduce hunger, and even improve your immune system (by positively affecting your body’s regulation of glutathione levels). You can pick up my favorite whey protein powder, Machine Whey Protein, here. Most fitness enthusiasts focus on the macronutrients that they are consuming, that is, how many grams of fats, carbs, and proteins. But, it is also important to focus on micronutrient consumption, micronutrients meaning vitamins and minerals. You will be able to realize health and fitness benefits by consuming appropriate micronutrients by sticking to a sound diet (that includes plenty of fruits and vegetables), but you can ensure that your levels are optimal by throwing a multi into your supplement stack. A multivitamin can help you to: detoxify your body, support healthy aging, boost energy levels, enhance weight loss, and maintain muscle strength. 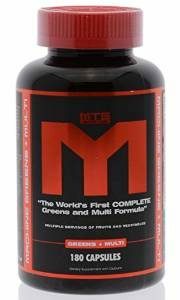 I take 3 pills of Machine Greens + Multi Capsules every single day with my breakfast. You can pick them up here. Well there you have it, a leaned down stack that will help you to reach your fitness goals if, AND ONLY IF, you throw them in with a healthy lifestyle and consistent exercise. Throw these two ingredients into your regimen and you’ll be well on your way to a more fit you! 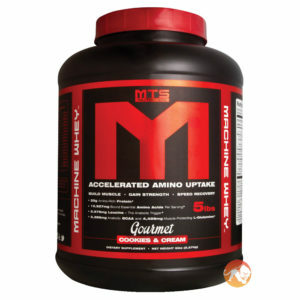 Oh yeah, one more thing, use the promo code “SHOMO” when you’re checking out on the MTS Nutrition website (linked to both of the above products) and you’ll get 30% off of your order!